I'm fairly attached to my CeraVe Hydrating Cleanser. It really takes a lot to drag me away from it, since it not only moisturizes and hydrates my skin, but it never irritates. But recently, I've been drawn to two different cleansers on a pretty regular basis. There are just so many things to love about this cleanser. For starters, the formula is creamy and rich, much like a moisturizer. It also smells so sweet and fresh, thanks to botanical sunflower and grape botanical extracts. But the best part is, obviously, that it cleanses and hydrates the skin effortlessly. I also love the wooden bottle -- it just adds such a vintage look to my bathroom cabinet! 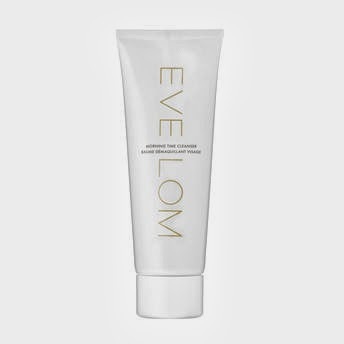 This may technically be for the morning, but I wash my face at night, so ... in any case, I absolutely love this cleanser. Simply twist the cap and let the aromatic goodness waft up toward your nose as you squeeze out a dime-sized amount and massage it into your skin. Let it sit on your face for 2-3 minutes before rinsing off, which makes it feel almost like a face mask. Plus, it's created with papaya fruit enzyme and carrot oil to leave your skin looking and feeling radiant and refreshed. I believe cleansers and toners should always be part of your daily regimen. I am still finding the best one for my skin. I am going to try your suggested products and hopefully, it will be suitable for my skin as well.